1. 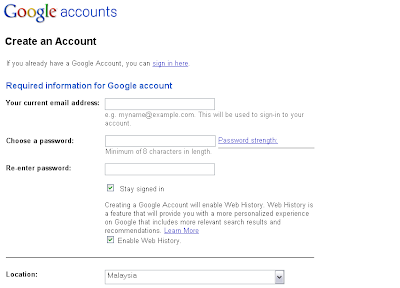 Get a Google account here. 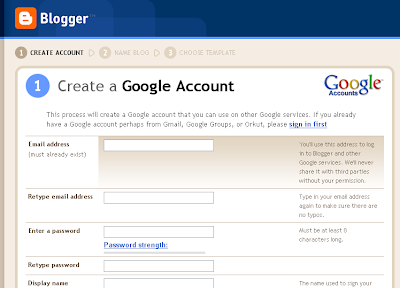 2.Go to Blogger home page. 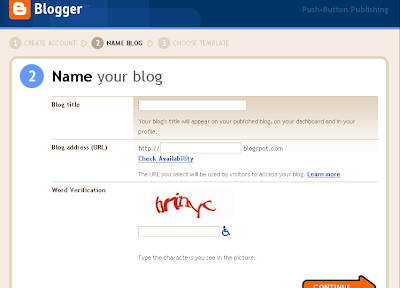 Click on “Create A Blog”. 5. 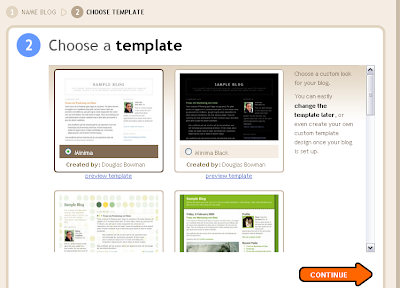 Choose a template for your blog. 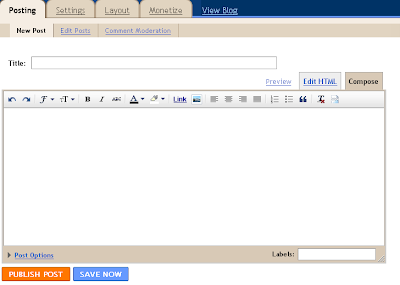 The blogger is just providing us simple blogger templates. It can be customized later. So, don’t worry about the simple design of it. 6. So, your blog has been created. What you are waiting for? Create your first post. 7. This is your post editor. After creating your first post, click “Publish” and it will be published in your blog. Or you can save it by clicking on “Draft” and can edit later. 8. Your blog post is published successfully. Click on “View Blog” to have a look on your newly created blog. 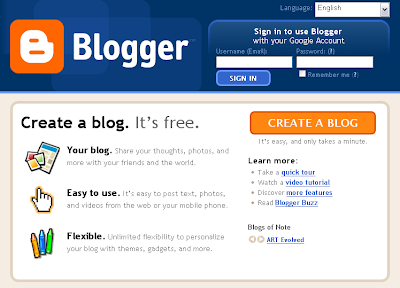 Previous Post« Previous What is Blogger?